Recycling used musical instruments for unique lighting fixtures give new life to clarinets, trumpets, oboes, tubas, bassoons, horns and trombones. 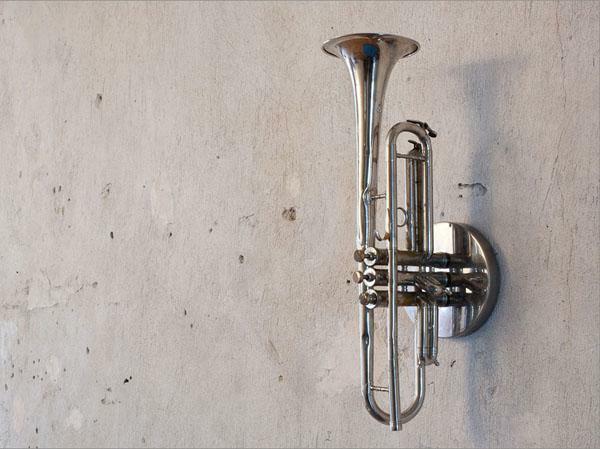 Russian designer from St. Petersburg Mitya Harshak transformed dozens of old brass musical instruments into unusual lighting fixtures. According to lighting designer, old and broken musical instruments from kids schools are an excellent material for creative projects. His unique lighting ideas are interesting, and may inspire you to create a one-of-a-kind lighting fixture for your home or office design. Each musical instrument can become a table lamp, a chandelier or a wall lighting, adding more personality to your home interior design and decor. The bassoon is excellent for creating a luxurious, stylish and contemporary floor lamp. 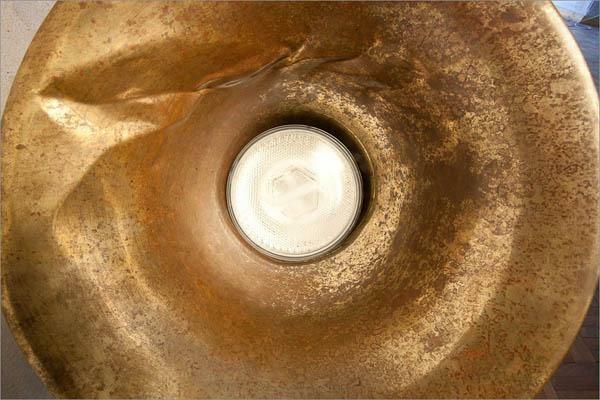 Horns seem to be especially designed for making beautiful wall lights. 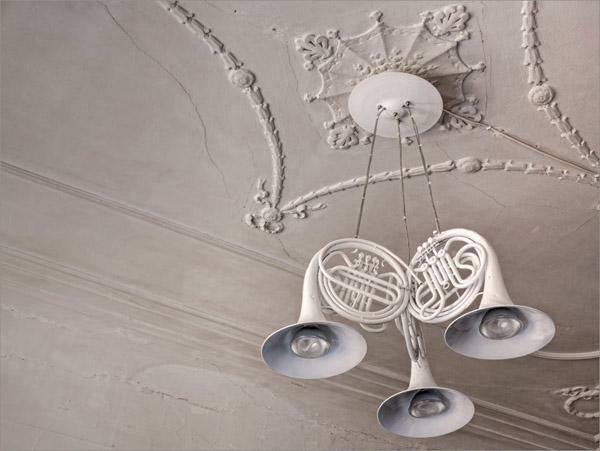 Few lighting fixtures, made of musical instruments create the collection Music Lights. Combining contemporary floor lights and chandeliers with table lamps and wall lights make a unique ensemble of music lights. A large chandelier can be created by attaching various or similar musical instruments to each other. Lighting design company ArtLight supported the designer’s idea of recycling old musical instruments for modern lights and offer to start manufacturing these unique lighting fixtures, which can be used for modern interior design and decor that enhance the musical decorating theme. These amazing lighting fixtures make great functional decorations and gorgeous gifts. Musicians and kids studying music will appreciate these unique lighting fixtures made of recycled musical instruments. Music lights are excellent accents that add fun to interior design and decor of restaurants, cafes, musical schools and theaters, attractively blending with furnishings and creating very special atmosphere. Creative and interesting lighting design ideas allowed to turn broken musical instruments into a stunning designer lighting collection, teaching kids to reuse and recycle items, be innovative and save the environment.